The Zenaida Dove is often times wrongfully called a Turtle Dove. 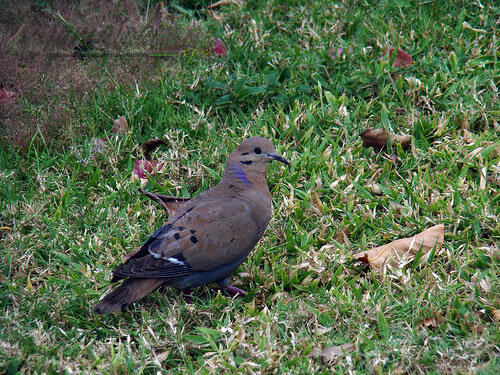 The The Zenaida Dove is only found throughout the Caribbean and the tip of the Yucatán Peninsula in Mexico. The bird is resident and abundant over much of its range in Jamaica and due to that are commonly hunted as a game bird. It is the national bird of the British Overseas Caribbean Territory of Anguilla.